The reflective box really looks good in photos. 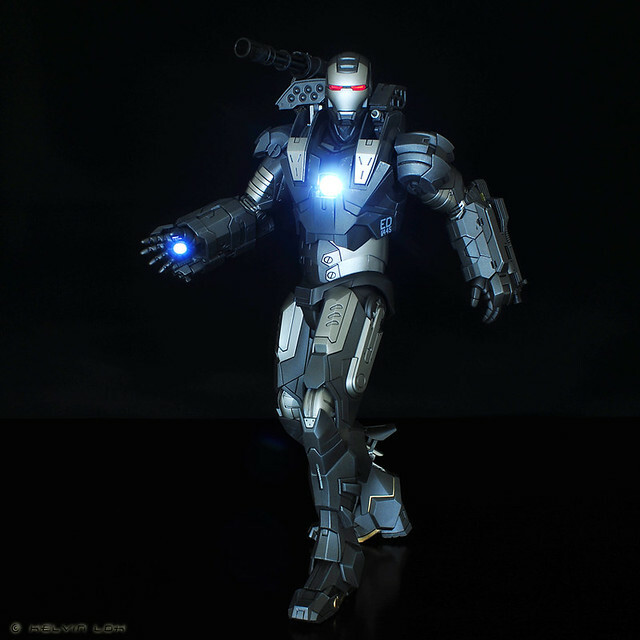 HT War Machine contents. 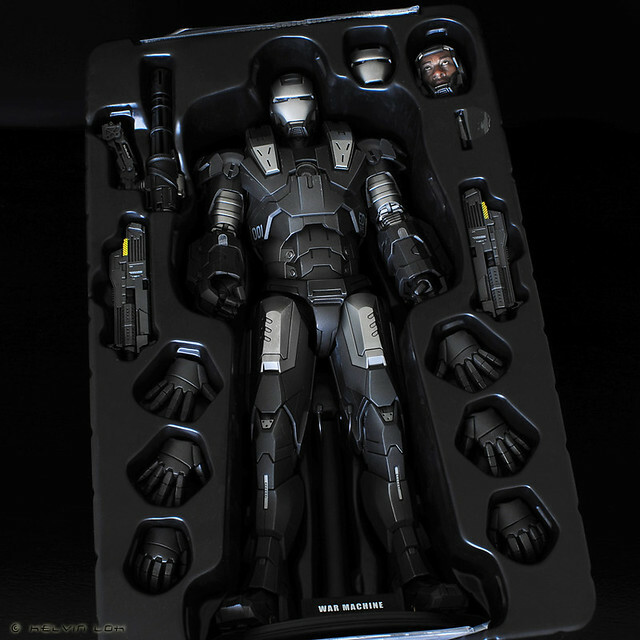 The tray is nicely laid out with all the weapons, interchangeable head and hands visible. Weapons fully deployed. 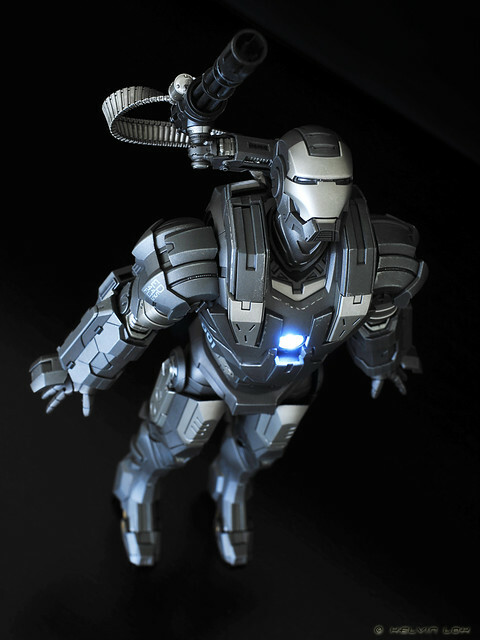 "You wanna be a war machine, take your shot!" Kinetic-kill, side-winder vehicle with a secondary cyclotrimethylenetrinitramine RDX burst, aka the "Ex-Wife". By the way, how the heck do you pronounce 'cyclotrimethylenetrinitramine'? 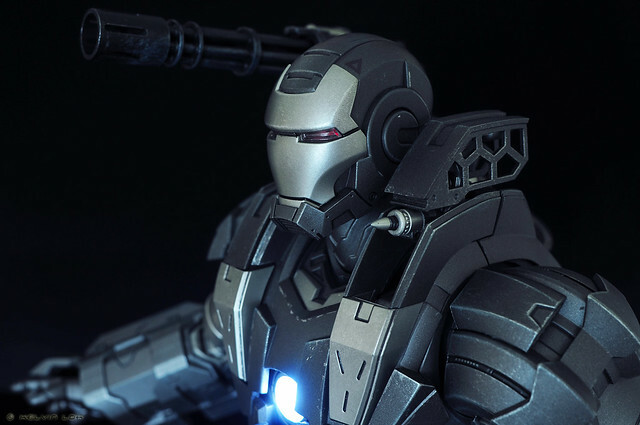 Lt. Col. James 'Rhodey' Rhodes, pilot of the Variable Threat Response Battle Suit. 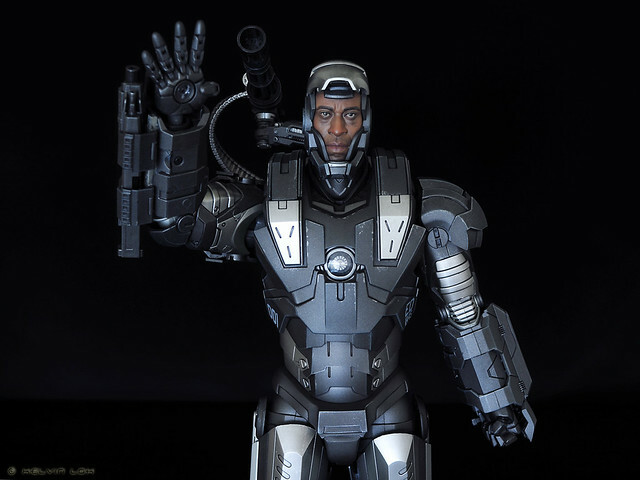 The likeness to actor Don Cheadle is amazing! My best attempt at a flying pose. I had to dislodge the head to look up this high. Too bad the red light couldn't shine through the eyeports in this position.